MICHAEL CUNNINGHAM has been a commercial photographer for over sixteen years, and his clients have included some of the world’s largest corporations: Coca-Cola, RJR Tobacco, Sara Lee, Wachovia Bank, among others. He is the Executive Director of Urban Shutterbugs, a nonprofit organization aimed at teaching the fine art of black and white photography to inner-city youth. 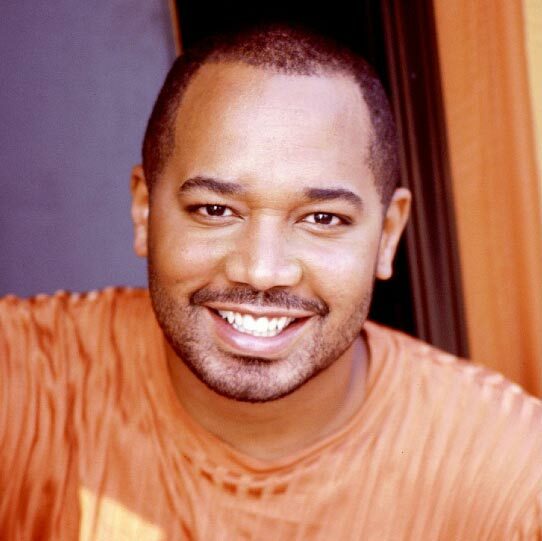 Cunningham is a member of American Society of Media Photographers (ASMP), and is a board member of the Washington, DC chapter. He has one daughter, Kamari, and resides in Washington, DC. 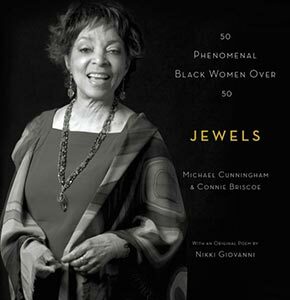 Crowns photographer Michael Cunningham and author and journalist George Alexander have captured the marvelous trinity of black women, hair, and beauty salons in the glorious Queens: Portraits of Black Women and Their Fabulous Hair. From the afro to the ponytail to dreadlocks to braids to relaxed hair to fantasy hair; from “good hair” to bad hair days, in this stunningly designed book black women from the United States, Africa, and London explore the fascination with hair and beauty that has long been a cherished part of African American culture. In fifty gorgeous photographs accompanied by vivid, personal narratives, Queens, by turns moving and funny, is the ultimate all-occasion gift book, perfect for Christmas, Kwanzaa, Mother’s Day, and birthdays. 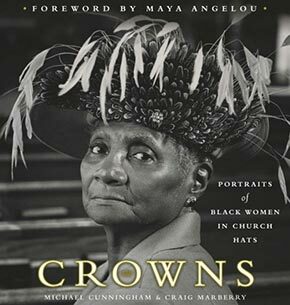 The creative team behind the smash hit Crowns: Portraits of Black Women in Church Hats returns with a glorious tour of the spirit of Harlem—a collection of fifty stunning black-and-white photographs and unforgettable interviews that capture the heart and soul of one of the most famous and vibrant neighborhoods in the world. Harlem, long known as the epicenter of black cultural life in America, is undergoing a radical change. An unprecedented infusion of hundreds of millions of dollars in development capital is revitalizing the community and transforming a cityscape marred by decades of poverty. In a striking show of exuberance, upscale shops are materializing in once-abandoned buildings, new homes are popping up in vacant lots, and sheets of glass twinkle in place of grim, boarded-up windows. The economic renewal has lured a host of new people to the neighborhood—doctors, lawyers, investment bankers, and even a former president. But it has also posed a threat to many residents who have lived through the worst of times and now fear that they will lose their homes and livelihoods as boom times sweep in. 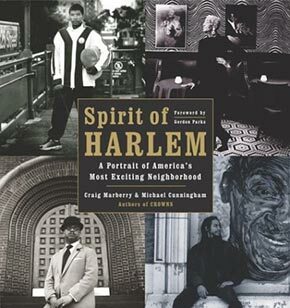 Spirit of Harlem documents this extraordinary period of transition through the words and faces of newcomers and longtime residents alike. There are reminiscences of Harlem during the 1920s through the 1960s, stories of friends and families gathering at churches, in local shops, and on the streets, and thoughts on what the future holds for the neighborhood. Millions of tourists visit Harlem each year, and many people in the United States can trace their roots to this legendary area or have read about its remarkable history and impact on American life and culture. In more than fifty stunning portraits and essays, Spirit of Harlem brings all its splendor, rancor, drama, and glamour vividly to life. Countless black women would rather attend church naked than hatless. For these women, a church hat, flamboyant as it may be, is no mere fashion accessory; it’s a cherished African American custom, one observed with boundless passion by black women of various religious denominations. A woman’s hat speaks long before its wearer utters a word. It’s what Deirdre Guion calls “hattitude…there’s a little more strut in your carriage when you wear a nice hat. There’s something special about you.” If a hat says a lot about a person, it says even more about a people-the customs they observe, the symbols they prize, and the fashions they fancy. Photographer Michael Cunningham beautifully captures the self-expressions of women of all ages—from young glamorous women to serene but stylish grandmothers. Award-winning journalist Craig Marberry provides an intimate look at the women and their lives. Together they’ve captured a captivating custom, this wearing of church hats, a peculiar convergence of faith and fashion that keeps the Sabbath both holy and glamorous. The book has received enormous national media attention including coverage in The New York Times, USA Today, and The CBS News Sunday Morning Show. Now in its seventh printing, Crowns has sold over 110,000 copies. Additionally, a calendar on the project was released in 2002 and 2003 by Workman Publishing. Further, a theatrical production of Crowns has played to sold-out audiences across the U.S. and Canada, and is currently still on tour.